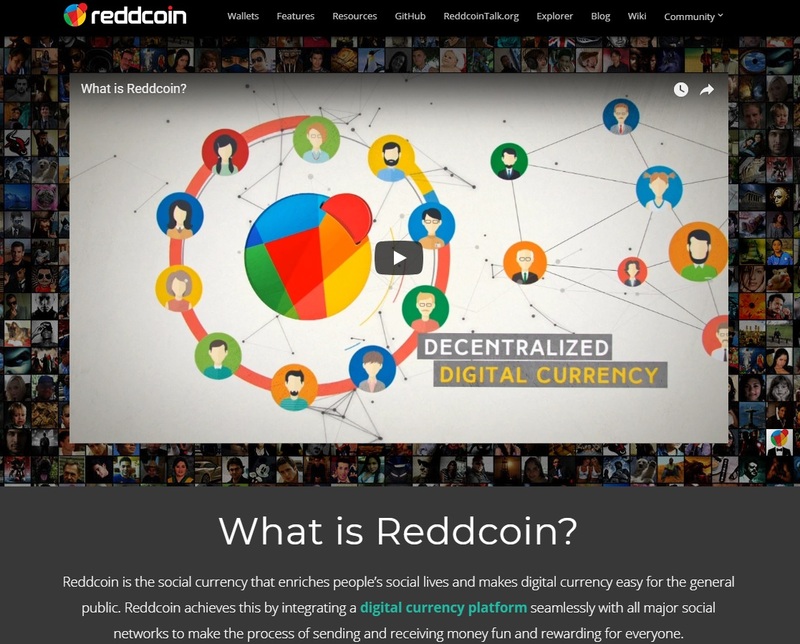 Reddcoin’s core concept – a decentralized crypto currency optimized for social media-based micro-payments (tips) – is interesting, albeit hardly unique. Others have given this approach a go with varying degrees of success, but thus far, Reddcoin appears to be the one that got the recipe as close to right as possible. Through this currency/payment system, users can effectively get paid for their social media posts. Of course, if you’re thinking about becoming rich through the use of Reddcoin, you may want to think again. Spun off Litecoin and launched in 2014 (a year that was indeed very favorable for altcoins), Reddcoin offers several very attractive and potentially revolutionary features. What exactly are we talking about? First of all, through Reddcoin, you are able to instantly send money to your social media contacts, without any transfer fees whatsoever. While that alone is enough to grab one’s attention, there are scores of other tricks in Reddcoin’s repertoire. Based on the payment solution angle alone, Reddcoin is perhaps not much better, nor more innovative than Facebook Cash or SnapCash. It is blockchain-based, but that’s about it. Unlike those other payment solutions though, instead of working through its own dedicated platform, Reddcoin can be integrated with social media platforms such as Facebook, Reddit and Twitter – among others. What this means is that Reddcoin is more than just a way to send money back and forth between friends and family. It may be a way for content-creators to monetize their efforts. Despite the fact that its PoSV protocol is hailed among its advantages these days, and that – at a closer look – it is indeed essential, given the nature of the currency, RDD was initially a PoW coin. The transition to its current hashing protocol was made in a timely manner though, on August 1, 2014. When this transition was made, some 27 billion RDDs existed. The supply has obviously increased since. Unlike BTC and its ilk, RDD is an inflationary cryptocurrency, with no upper limit set to supply. The minting process, through which new RDDs are created, generates a 5% yearly inflation. The all-time high value of RDD was reached on January 7, 2017, when it hit the $0.03 mark. Since then, the value of the coin has plummeted. As already said, Reddcoin is a great way to send payments and to provide micro-donations. Its main appeal is indeed as a Tip Platform, but for something that is supposed to be seamless to use (when integrated, RDD donations can be sent at the click of a button, much like giving a post a like), making payments through it can be surprisingly difficult. While Reddcoin creators do provide a technical explanation to why this is the case, it is safe to assume that 99% of Reddcoin’s prospective users do not care about why and what makes things tick behind the scenes. All they really want is a handy and reliable solution, that does what it says on the package as seamlessly as possible. Unfortunately, such technical difficulties may also be among the factors that slow the adoption of this otherwise rather attractive payment solution. For most cryptos, anonymity or pseudo-anonymity is extremely important. In fact, this feature is one of the core tenets upon which most cryptos are built. Given its nature though, Reddcoin needs to move in the opposite direction on this issue. It does so through Redd-ID, which is a unique service delivered at the level of the blockchain, that assigns users a user name, as well as a plethora of information about their public keys and social network identities. ReddWallet is an essential component of the Reddcoin ecosystem too. It promotes social engagement through the unique features it offers, and it is a key component of the decentralized network. The above mentioned social features include a live twitter feed, a live Reddcoin news feed, as well as IRC. The wallets can be downloaded directly from the official Reddcoin site, and they can work both as a local desktop application, or as a remotely run application hosted on the cloud, and operated through a local front end. The graphical user interface of these wallets is simple and highly functional. It is nothing spectacular, but then again, it does not have to be. Besides the above described features, Reddcoin also innovates in the way of mining. Instead of the plain-old PoS (Proof of Stake) protocol, it has adopted PoSV (Proof of Stake and Velocity), which is a mining process hailed as one that’s a lot more environmentally considerate than the hashing protocols of mainstream cryptocurrencies (especially BTC). Instead of conventional PoW mining, Reddcoin is minted. What that means is that all the resources committed to the PoSV effort are eligible to receive rewards. RDD minting relies on CPU power instead of ASICS and GPU-based mining rigs. This way, every nook and cranny of the network, from desktop PCs to notebooks and mobile phones, can participate, can be a useful link in the RDD chain and can be duly rewarded. To receive block rewards, all users really need to do is to keep their RDD wallets online and running. The protocol upgrade was needed for much more practical reasons too though. Due to the nature of the Reddcoin network, ownership as well as activity need to be encouraged, and that’s what PoSV accomplishes. Furthermore, PoSV treats coin aging a little differently from the “traditional” PoS approach: RDD coin aging is non linear. Details regarding the peculiarities and the advantages of this setup can be found at Reddcoin.com. The bottom line about it all is that the setup favors block discovery and signing, as coin aging is quicker during the first two weeks of a block’s existence than in the case of the PoS protocol, and it slows down later. Where Can You Buy RDD? Several crypto exchanges support the social micro-donation coin: Cryptopia, Bittrex, ShapeShift.io and Upbit. Unfortunately, one won’t be able to buy RDDs directly for fiat. Only BTC and ETH can currently be traded for it. The future of this interesting yet barely-known coin hinges solely on adoption. The goal of the RDD team is obviously to integrate their payment solution/coin with every social media platform out there. Some question the utility of the whole setup, but mass adoption can easily power RDD past that hurdle, as past experience has showed.